General information provided for Serbia travelers. Read the recommendations for accommodation options, shopping spots, restaurants and the attractions. Like an old man who has been through many things, having so much to tell yet preferring not to speak, Serbia is a country that turns its grief into a cultural and historical richness. Being in Serbia, one of the most influential country in Europe, you will benefit so much from this cradle of history and the culture. The home to many cultures, religions and civilizations, this country has a perfect combination of architecture, cultural structure and traditions. While the national parks of the country attracts people in summer, mountain resorts become popular in winter. When it comes to nightlife, Serbia has a world-wide reputation. Many people from the near countries come to the country to enjoy these endless nights. Numerous music and art festivals are held during the year and they all create the big part in the Serbia’s tourism pie together. Unlike the cold weather in Serbia, the people are warm-hearted and friendly towards the tourists. You can have intimate conversations with them and feel yourself at home! There is so much thing to listen from them about their sad yet joyful country. Discovering Serbia and its deep culture leave remarkable memories in mind that you will never want to forget. Serbia, whose capital city is Belgrade, is located between Hungary, Romania, Bulgaria, Macedonia, Croatia, Bosnia and Montenegro in central Balkans. The capital city of Serbia, Belgrade is the essence of the country offering you many attractive landmarks that reflect the cultural and historical richness of the country. 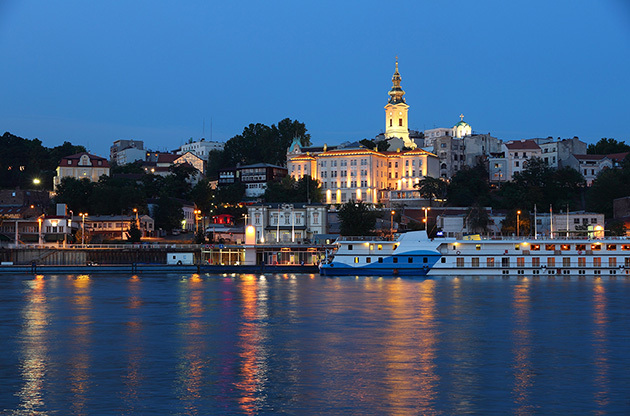 Things to see and activities are limitless in Belgrade. Especially the nightlife and the cuisine has worldwide reputation and the discovering this beautiful Balkan city will add so much to your trip. Located along the banks of the River Danube, The Djerdap Gorge is one of the most stunning natural attraction in the country. In Djerdap National Park around this gorge, you can find the peace in the diverse flora and fauna in a tranquil nature. The magnificent Golubac Fortress is also worth seeing in this national park. Novi Sad is another attractive city in Serbia competing with Belgrade. Novi Sad is known for being home to Petrovaradin Citadel, one of the biggest fortresses on Danube. In addition, you will have the opportunity to witness of the beauty of Fruska Gora located in Vojovodina plain. It is a national park since 1960 thanks to its historical, natural and cultural importance. The effects of Greek, Turkish, Austrian and Hungarian cuisines can be seen in Serbian cuisine. The most popular cooking style is grilling and meat is mostly used in the dishes. Apart from meat, seafood and vegetables has a remarkable place in Serbian cuisine. In addition, Serbian people has a special interest in alcoholic drinks. Serbian wines has a centuries old tradition and you will have the chance to taste many local and foreign wines accompanied by delightful cheese. Rakia is another popular drink in Serbia. It is made from distilled fruit juice and it is a strong drink. The most common flavors are plum, grapes and apricot. It tastes like brandy and it is definitely worth tasting. The most popular domestic beer is Jelen and if you are in Serbia in August, it means that it is time to join a free beer festival. It is a dish that resembles like a hamburger. It is a grilled meatballs that are served with onions and a special bread. Cabbage leaves that are filled with minced meat and rolled. Baked minced meat cooked with potatoes and eggs. This is a Balkan’s specialty which is a kind of pastry that is filled with minced meat or cheese. Shopping in Serbia is a joyful activity thanks to reasonable prices and wide ranging shopping alternatives. If you cannot be sure about what to buy from this country, let us help you with a compact shopping list. Handcrafts that reflect the Serbian history and culture. Before travelling to Serbia, you can check whether you need a visa or not on the official website of the Serbia Ministry of Foreign Affairs. Being the cradle of many civilizations and having a central location in Europe, Serbia draws worldwide attention for global events like symposiums, tradeshows, fairs, exhibitions, congresses and conferences. Serbia, invested more than 1 billion Euro in infrastructure, hotels and convention centers and deserves it worldwide reputation as a host city for international gatherings.